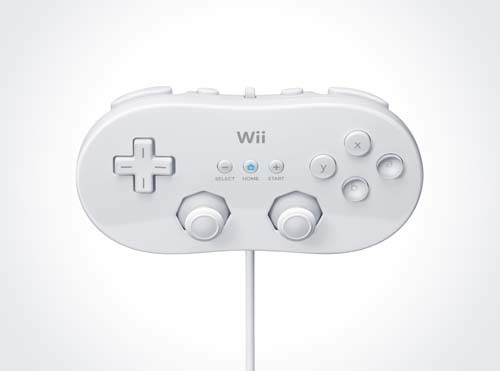 Hidden in Nintendo’s E3 press pack is a picture of a more “standard” controller. The filename itself is “Wii_Classic_0501.jpg”. I’m guessing this answers the question of how we’re supposed to play downloaded NES/SNES games on the Wii, since the Wii-mote doesn’t seem up to it. Picture links to very high-res image of the controller.